Trump was golfing with him just a couple weeks ago. America just keeps winning. Trump is good luck! Tiger loves niggers as much as everyone else. He won't even date a nigress. No wonder Tiger loves Trump so much. Black Americans are thriving like never before. 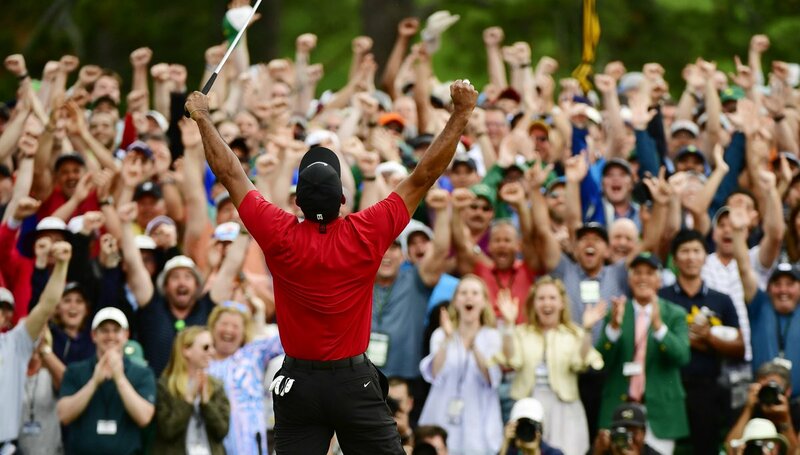 I remember the first time Tiger won back in the 90's. Beat the next guy behind him by 12 shots. Now here he is all these years later after everyone counted him out. Never bet against America!